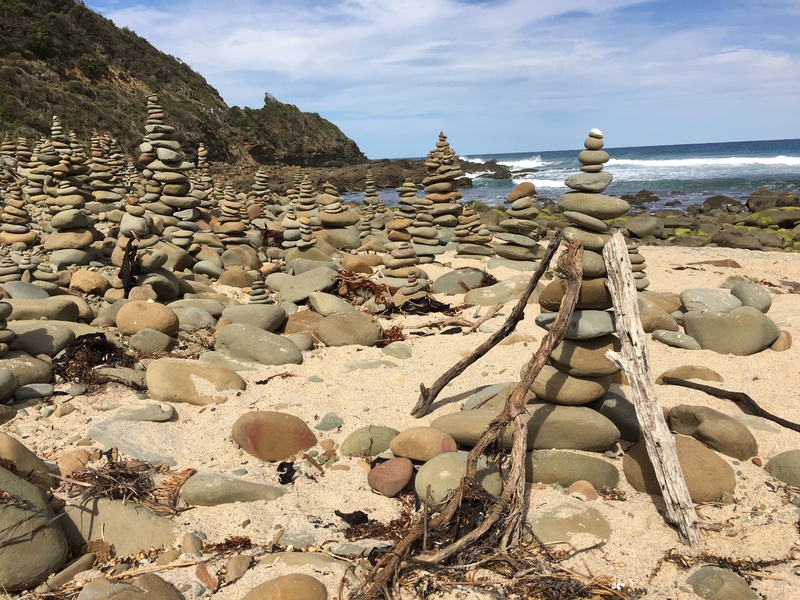 This is a short story about how I went looking for a little bit of magic in a quiet pocket of the Great Ocean Road and ended up like Grandpa Simpson, shaking my fist at the world and telling the rest of humanity to get off my goddamned lawn. 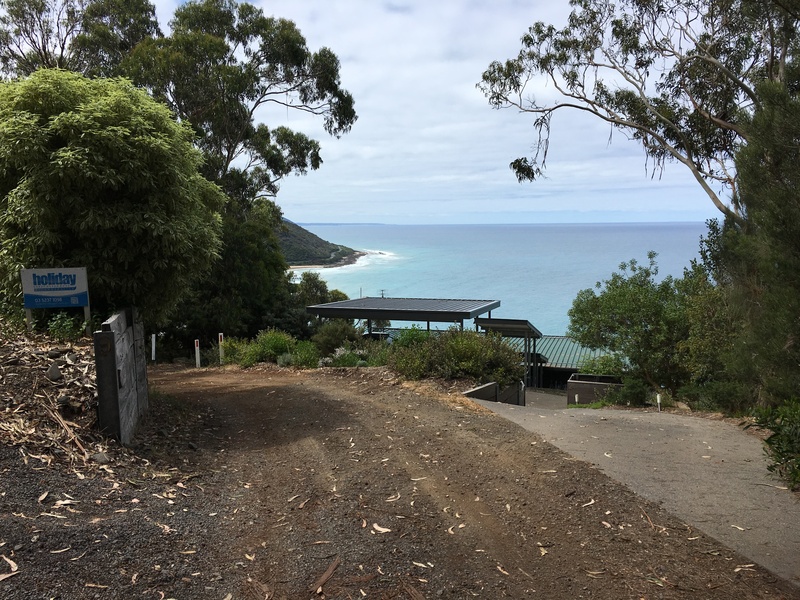 It all started with a long weekend at Wye River, a really gorgeous little place a few hours from Melbourne. After one morning at our holiday rental, my partner and I both felt as relaxed as a yoga master who has been shot with a tranquilizer dart while meditating. I don’t think we consciously set out to get up close and personal with the local Aussie wildlife, but it seemed determined to get up close and personal with us. 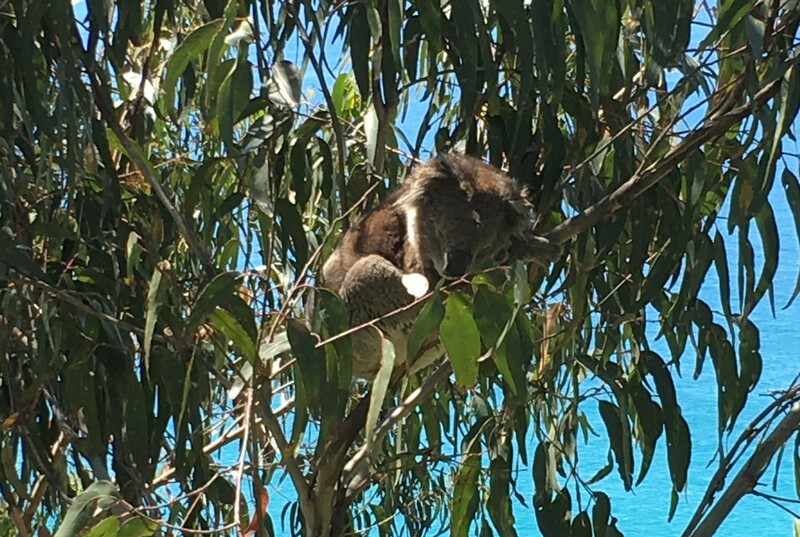 A koala was curled up in the crook of a branch less than two metres from our deck. We were visited by a bright red, comically overweight and very friendly parrot who worked us for crackers. A wallaby and joey were just kind of hanging out in the backyard for a while. And one evening we opened the front door and a tiny bat flew in and did loops around our living room until we encouraged it politely to leave via the back entrance. Perhaps all this cavorting with the natural world made us cocky, but I had been told there were some glow worms about 20 minutes drive down the road, about six kilometres along a gravel track near the Grey River camp ground. 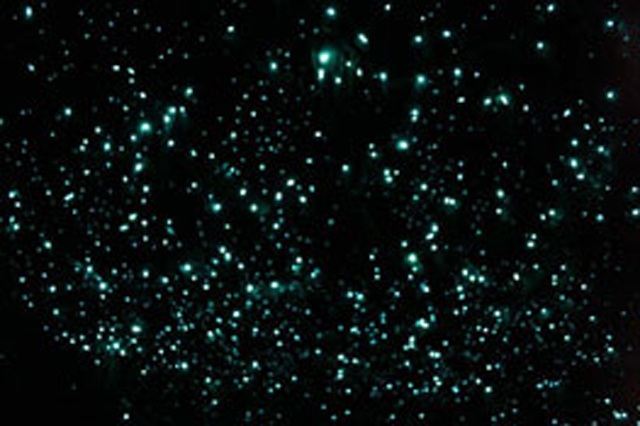 I had seen glow worms once in a cave in New Zealand when I was about 10, and the thought of being able to just drive in and drive out seemed almost too easy. 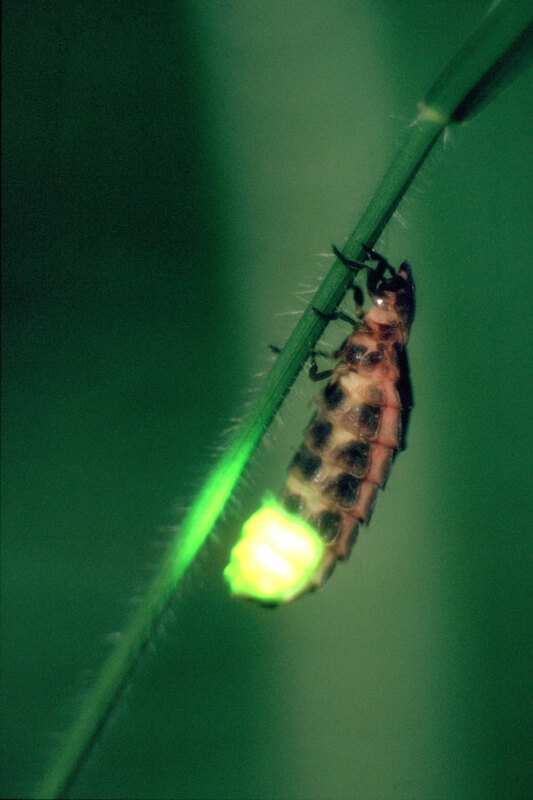 Of course, that apparent ease didn’t take into account the behaviour of other glow worm enthusiasts. It never does. In my opinion, the information in the online brochure from Otways Tourism about the glow worms couldn’t have been much simpler or clearer. Nutshell: Get there when there’s still a bit of light so you can get your bearings, wait until it’s dark then walk quietly back across the bridge you just drove over. You will see glow worms. Don’t shine any lights on them, talk or make loud noises, or the glow worms will turn off the lights for around 15 minutes. So basically, turn up, shut up and be dazzled by the stillness and the beauty of the natural world. When we arrived as advised we were one of three cars parked, making small talk among ourselves and waiting for our moment. Then, just the barest whisker before it got pitch dark, a 4WD came roaring along the trail with its lights on high beams and raked them along the area where the glow worms were hanging out, with another car close on their back wheels. Those assembled glared at the vehicle as the driver attempted to park a car that was obviously way too big for them. A Scandinavian tourist couple emerged from the 4WD, the woman wearing harem pants and the guy dressed Swedish casual, and they seemed oblivious to what was going on or the chaos they had just caused. We all milled for a bit, giving he glow worms a bit of time to recover. But after five minutes or so, some of the groups assembled couldn’t wait any longer, and set off across the bridge. Everyone else followed. One family pushed one of those strollers with the huge wheels, and it made a hell of a noise on the gravel of the road. Young kids alternately talked and were loudly shushed by their parents. We waited in the appropriate spot where the glow worms had switched themselves off in response to the Scandinavian shock and awe. “Dazzle us!” We silently pleaded, followed by the obvious thoughts of “Is this the right spot?” and “Is that a glow worm?”. About this point my partner Jill started to freak out, as the proximity of mud, darkness and running water had activated her crippling fear of leeches. I walked her back to the car and sat there for a few minutes talking her down as she mildly hyperventilated, then left the car again, pledging to come get her again if the glow worms were out and shining. By this time the Scandinavian couple had already returned from the glow worm viewing and were telling a guy with a bushy beard who had waited with his kid in the car behind us that yeah, sure they had seen the glow worms, but they were expecting more and were very disappointed. I walked back over the bridge, quiet as quiet could be, and saw the glow worms were indeed out, and that they were really something to see. But I had only been standing there about a minute with my eyes adjusting to the darkness, when the Scandos climbed into their 4WD and came roaring back around over the bridge, headlights blazing, and shutting down the glow worm show again as they raced off back down the gravel road. And just in case there was any doubt that the show was well and truly over for another round, the bearded guy in the car behind stomped over with his kid and shone his torch all over where the glow worms were supposed to be. WHO ARE THESE PEOPLE? Oh that’s right, they’re the family a few houses down, the ones around the corner in the next street, and the ones a couple of suburbs over. They are typical humans on holiday, and on this occasion their utter thoughtlessness for the other people around them made me sick. I was fed up with the whole shebang, so we gave up on our glow worms in disgust, followed another car out of the picnic area and grumbled our way back to Wye River. We slowed to a stop. It was a very narrow road and rather a large koala. But we edged the car around it slowly, taking care not to startle it. Jill and I looked at the koala as we moved past with the windows down, and it looked back at us, a perfect Australiana Buddha, still and straight and seemingly proud. Then we watched it in the rear vision mirror as we drove slowly away. And then it was gone. We had found our magic. The stars were clear and bright. The fire in the hearth was glowing. And the rest of humanity wasn’t around to ruin it for us.